Monday – Saturday 10:00 a.m. to 4:00 p.m. 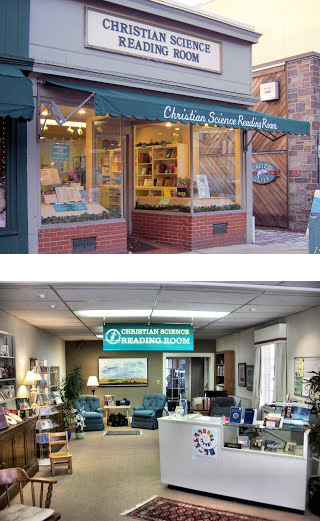 The Reading Room is a place for all who want to learn more about God and their relation to Him. Come, use the Reading Room, where staff are available to help you find whatever you need. Many resources in various languages are available in print to read, borrow, purchase, or access on our computer. All translations noted below, if not carried in the Reading Room, can be ordered. The Christian Science Monitor, international news, in weekly print edition, and always up-to-date online. Free parking for Reading Room visitors is located directly behind the building. Drive through the Public Lot at 13 Park Place to Access.